Why School Grounds Are Important For Children? Kids these days spend very less time playing outdoors these days and there are numerous reasons for the same. Technology, video games, social networking websites and other things compel children to spend their time indoors. They are glued to screens of laptops, mobile phones, tabs and what not. The school ground or grounds near the home play a crucial role in inviting the children to come and play. When children learn and play outside, it helps in improving their balance, muscle strength, overall body co-ordination, dexterity, fitness and health. The children, when they make use of the school ground in the physical education period they get to connect with other students in a much better way. When the whole class participates in the sports activities they work as a team and bond. Apart from playing, the school grounds can be used for other activities. The teachers can teach the students in the playground. An outdoor session with the children can significantly improve their learning skills. When children start to learn outside or with nature they express high interest and are not bored or anxious. Apart from the physical well-being of the children, when they learn outside it impacts their emotional well-being. They are able to better connect with nature and how it functions. Moreover, they are able to appreciate the workings of environment and how it affects the lives of human beings and animals. School grounds can also be used for various other activities like community lunch, concerts for children, by the children, and many more. Many observed that when students learn in the playground their behaviour improves. Also, their outlook towards life change for the better. The social interaction also improves. School grounds are pivotal for the overall growth of a child. Procure goods of international standards at competitive prices from Garg Sports International. Mommy gets up early in the morning and prepares lunch for the Sunday afternoon. The picnic afternoon. The kids are up too, early in the morning, today. And they are quite excited about what they are going to play with their cousins and friends. Any picnic is incomplete without board games and one of the most beloved games is Ludo. Ludo is a board game and two to four players can enjoy this game at one time. The players have to race their four tokens from start to finish. The move of the token is determined by the dice rolls. The game, Pachisi, from India can be called the predecessor of Ludo. 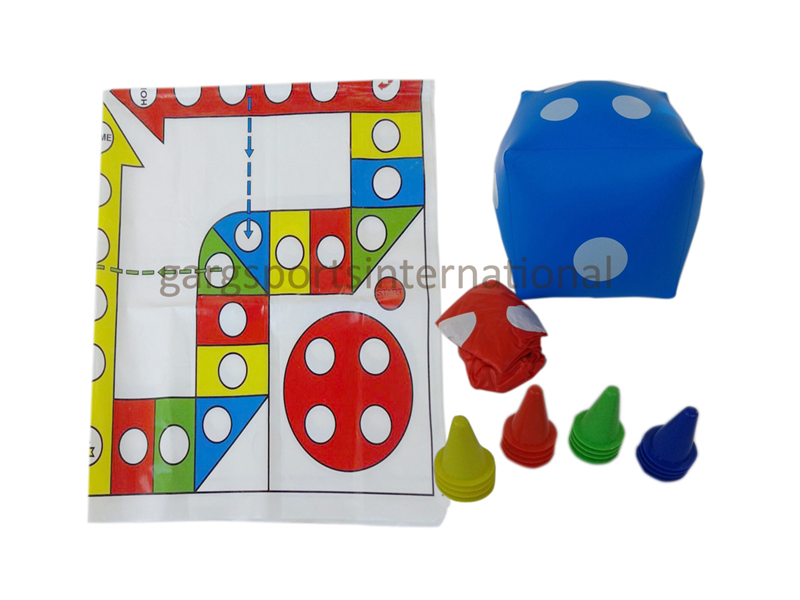 You can buy the jumbo Ludo set carefully crafted by Garg Sports International. We have Garden Ludo Mat. It is 24.2 X 24.2 X 3.4 cm square mat with Ludo pattern. This complete set includes – 1 mat, set of counters or tokens in 4 colours, plastic dice, pump and inflatable dice. GSI also offers Large Ludo Mat which is a 40 inches square vinyl mat with Ludo pattern printed on it, The complete set includes – 1 mat, set of counters of token in 4 colours, plastic dice, plastic dice and pump. Large Ludo rug is made of natural fibre composition with Ludo pattern print. This set had counters in 4 colours and premium dice. Picnic is a great way for the family members to connect with each other. It is also important for young children to get out and connect with nature. Also, picnic is a way of creating memories for your child. Picnic gives the opportunity to your child to just go out and play. They can play with their friends and discover the beauty of nature at its best. Of course, board games like Ludo and chess are there for them. So, plan that next picnic and carry your GSI Ludo set.